When we started Square Cow Moovers, we had a dream that we would become the best moving company in Texas. At the time, we thought that would mean more trucks, more great employees and more locations across this great state. And guess what? We are excited and proud in how far we have come in achieving this goal. What’s more exciting though is how our goal has evolved and expanded. Square Cow is growing more rapidly than we could have ever imagined. 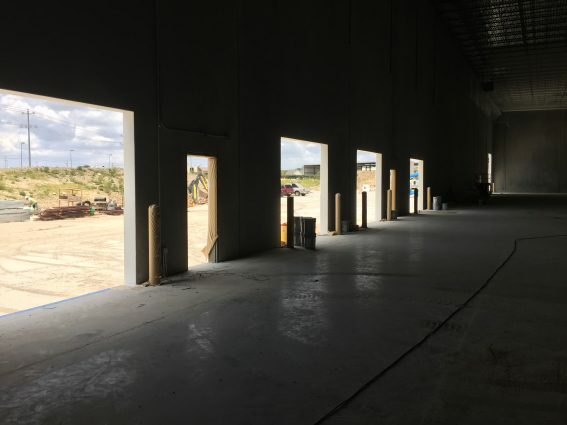 We now have 7 locations across Texas and a location in Denver, Colorado, and we are now announcing the opening of our 40,000+ square foot warehouse in Austin, Texas! Our goals evolve to meet our clients’ needs. When we started this endeavor, we had not considered getting into the storage business. However, over and over again our clients have needed a storage solution in the middle of a move. Up until now, our solution for storage involved other storage facilities and double the packing/unpacking. 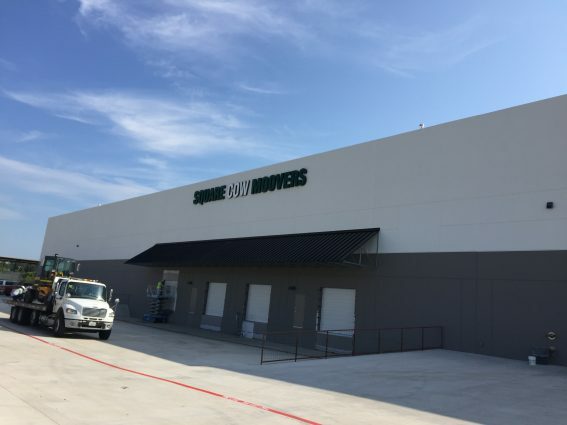 With our new warehouse, Square Cow Moovers will soon be offering an efficient and affordable storage solution for clients who need to wait a few days, a few weeks or a few months before their things can be moved into their new location. 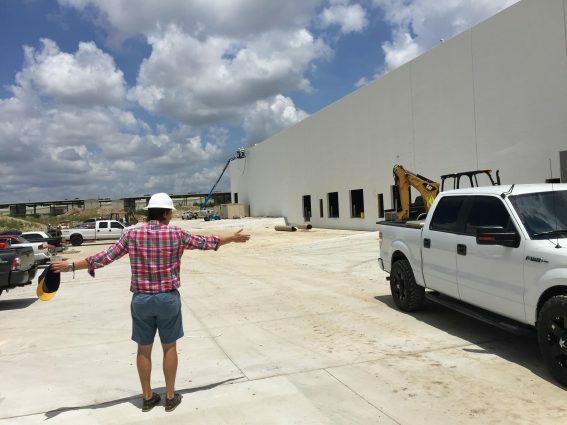 The Square Cow warehouse marks a huge expansion for our mission statement. The ability to temporarily store people’s things in a safe and secure manner while they are in transition means a lot less stress during the process for everyone involved. Anyone moving into or out of or around Austin can now find a little breathing room, not having to worry about making sure move in and move out dates match perfectly. If this goes well, who knows? As we grow, perhaps we will have warehouse locations like this across the country in a few years time. A few fun things about our new facility. This will become the new Square Cow Headquarters, as well as be the new home for our North Austin store. As we continue to expand, this will be our hub for training and strategy. The Square Cow House (ATX) will be very secure (gated entries, surveillance, etc.) to protect our clients’ stuff, but it will also be a collaborative and welcoming environment for both customers and our team as we continue to care for our every-growing herd. 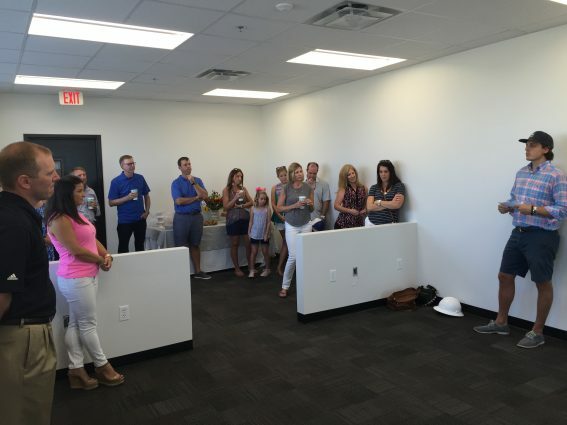 Reception area, sales team floor, offices, showers, laundry services, a kitchen, a game area conference rooms, and a training area are just a few things that will help Square Cow become an ever-better environment for employees and clients alike. In 2008 there were only three of us with a couple trucks praying that we could make a living for ourselves and our families as a moving company. We are so incredibly blessed and blown away at where we find ourselves today. We could not have done this alone, and we are so grateful to all the wonderful folks and clients who have supported us over the years. We will continue our commitment to raising the bar in this industry. Stay tuned everyone. 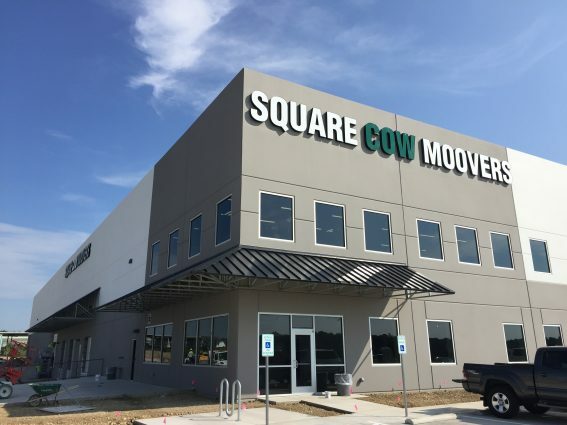 Square Cow Movers will continue to expand. Our new warehouse offers a whole new level of service, but this is only the beginning. We are future-looking cows. God only knows what will come next! We are grateful for our new building, clients, friends, family and our herd who have helped to make Square Cow Moovers a success. Join the Moo Movement and make your next moove a resounding success!